They say the only people who wash their hands before using the bathroom are doctors and mechanics. Man and machine aren't so different after all, and just like quality food and frequent exercise can keep you feeling spry, your dirt bike needs love too. Try putting Taco Bell hot sauce in the tank – you'll see what I mean. This article will show you 5 basic ways to improve your dirt bike's health, and we’ve also outlined some optional things to do while you’re in those areas. You could actually do all these improvements in just one afternoon, transforming your dirt bike into an all-around better version of itself. Try getting that from a session of hot yoga. Without a doubt, these are the best inexpensive dirt bike mods for improving performance. And be sure to check out the Top 5 Advanced Dirt Bike Mods to take your dirt bike to the next level. 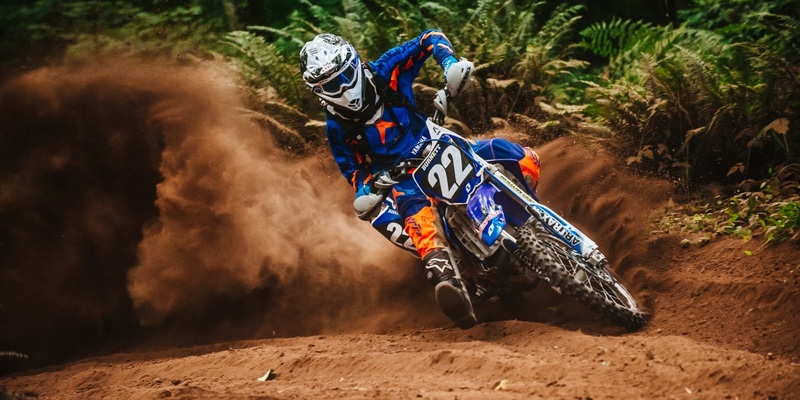 The easiest ways to improve a dirt bike's performance are by upgrading the fluids, filters, brakes, lines and levers, and adding a steering damper. Some riders like to buy no-name Wal-Mart fluids for their high-performance dirt bikes. That’s like going to the hospital and asking for a transfusion of the worst blood they have on hand because hey, it's cheap. Your dirt bike’s beating heart doesn’t deserve that. The full procedure involves lubricating the engine, clutch, brakes, cooling system, forks, and even the chain. And when it comes to fluids, you pretty much get what you pay for. I’m not saying you need to go spend $16 on Motul chain lube or “racing brake fluid” but it's a lot better than nothing at all. And as someone who personally neglected their chain until it broke in half, I can tell you a new chain costs way more than a few years’ worth of lube. Dirt bike fluids that are often overlooked include fork oil, radiator fluid, and brake fluid. People tend to think these last forever, but they lose their effectiveness after thousands of heat cycles wreak havoc on their chemical composition. Eventually your fork internals won’t lubricate correctly or your engine won’t stay as cool as it should. By then the damage is already done. Get in the habit of changing your own fluids and soon you’ll be able to do them all in an hour flat. If you were next in line for a lung transplant, would you want the best lungs they had or just any old pair? Maintaining a dirt bike is a lot like sustaining a human body. You hit the gym and eat healthy to improve your performance, and you take precautions to make sure you’re still around to enjoy those gains down the road. The difference is you can’t just throw on a new set of kidneys in 15 minutes in your garage. Not yet, anyway. Do your part to make sure air reaches your bike’s engine swiftly – change your air filter often and don’t skimp on the price. Dirt bikes like the YZ250F use an oiled air filter to trap dust and dirt more effectively; be sure to replace them before they dry up. Modern motorcycle engines have endured thousands of hours of R&D, so OEM oil filters are usually a perfect solution. Some oil and air filters do provide slight increases in performance, but don’t fall for outlandish claims. And don’t get me started on K&N, a name that’s banned from more racetracks than the SRT Demon. More corner entry speed, better stopping power, and smoother feedback – all for less than an hour’s work. You might think your dirt bike stops just fine on stock brake pads. It probably does, but when you’re trying to shave tenths and edge out the competition, just fine doesn’t cut it. Upgrade your brake pads and you’ll have more confidence all around. Don’t be fooled into spending a fortune to get great performance: stick with Galfer and EBC for quality, longevity, and a fair price. Carbon brake pads may sound tempting too: they’re often less aggressive than sintered pads, making them great for reducing brake sensitivity. However, carbon pads are costly and wear faster. That choice is yours. For maximum stopping power, upgrade your rotors at the same time. Improving the responsiveness of your clutch and brakes is critical. Upgrading the levers and lines on your dirt bike will help in three ways: performance, aesthetics, and longevity. Especially on a street legal dirt bike, you’re going to want as much stopping power as possible. Consistency is the goal here: you want the brakes to have a predictable, progressive action. An adjustable brake lever and braided brake lines will result in more precision and better performance, inspiring confidence and keeping you safe. Upgrading your clutch lever and lines (hydraulic or cable) will improve your dirt bike’s shifting in the same ways. Precision shifts mean fewer mis-shifts, saving you valuable time on the track while supporting the longevity of your clutch and gears. Since these systems are critical to your safety, skip those eBay brands and cheap knockoffs. Get yourself a quality set of reinforced lines from a brand like Core Moto or Galfer and you’ll feel an immediate improvement over the stock hardware. For maximum effect, upgrade your master cylinders at the same time. Even if you’re not a pro, it’s nice to feel like one. This mod is more technical and expensive than the others but it’s no harder to install on a dirt bike. A steering stabilizer (damper) will cut down on the infamous “death wobble” seen in that video. It does this by using a shock to smooth the lateral movement of the bars, forks, and front wheel. Tank slappers aren’t always that insane though, especially on dirt bikes; hit the brakes on a soft patch of dirt and your front end could wash out instantly. A stabilizer will help keep the front wheel in check in all but the most extreme situations. Steering dampers also complement your brakes. Braking-induced turn-in will be more uniform than before, improving the consistency and predictability of your bike's steering. You’ll have more to push against in the corners and more trust that your front wheel will stay where you put it. Installing a steering damper early will give you a great baseline for future suspension upgrades. Thanks! We’ll call you soon.